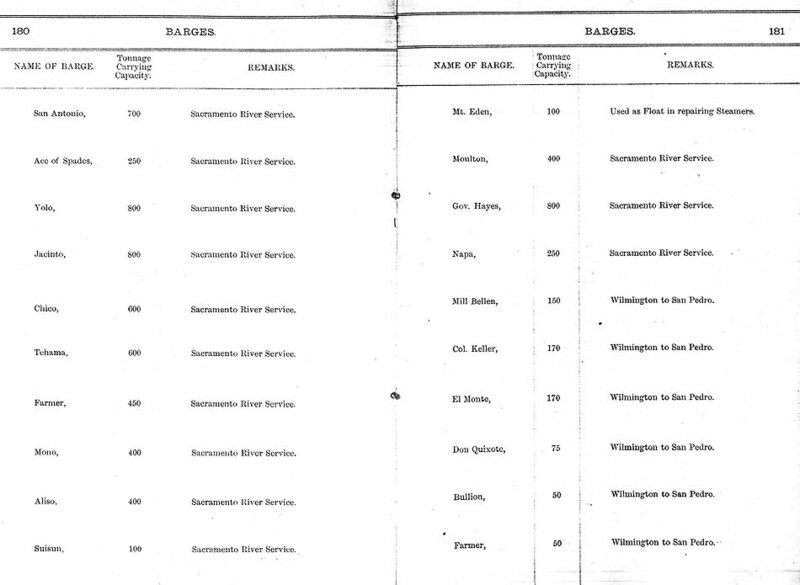 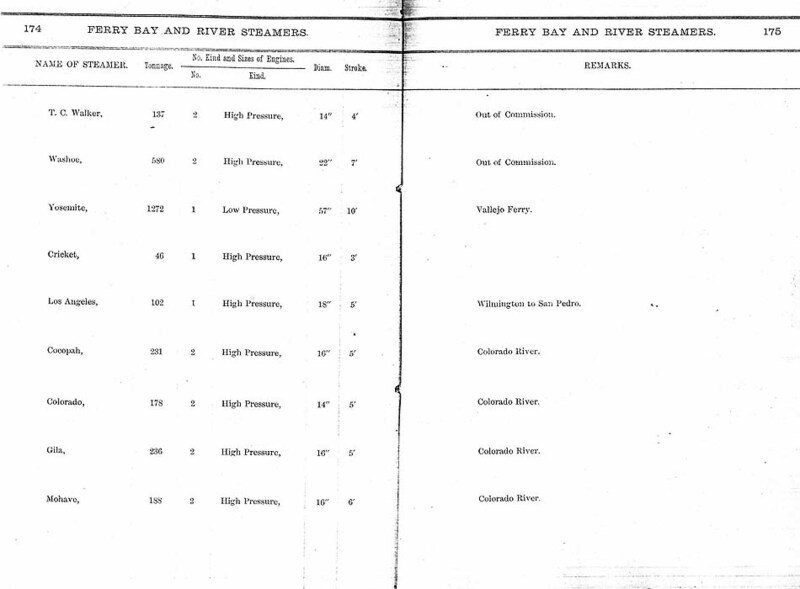 "Central Pacific and Leased Railroads Locomotives, Cars, Steamers and Barges"
taken from the Office Auditor M. P. and M. Department, dated June 1, 1878. 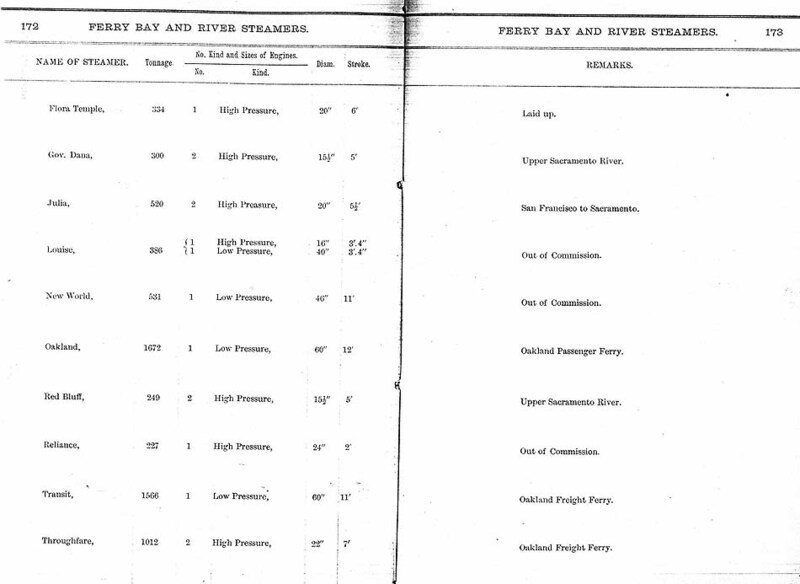 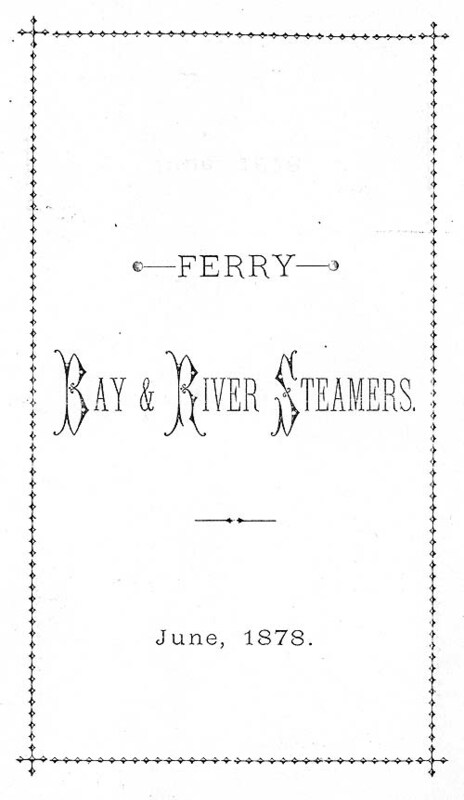 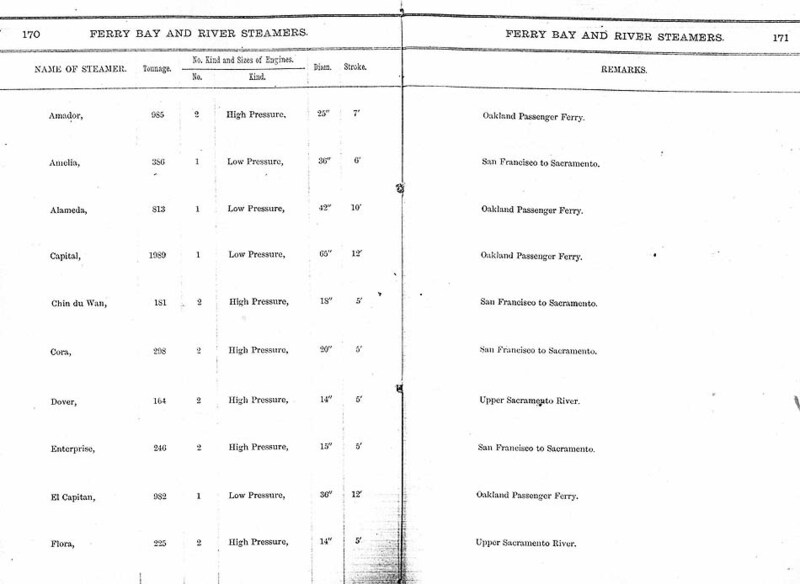 Ferry Bay & River Steamers, June 1878. 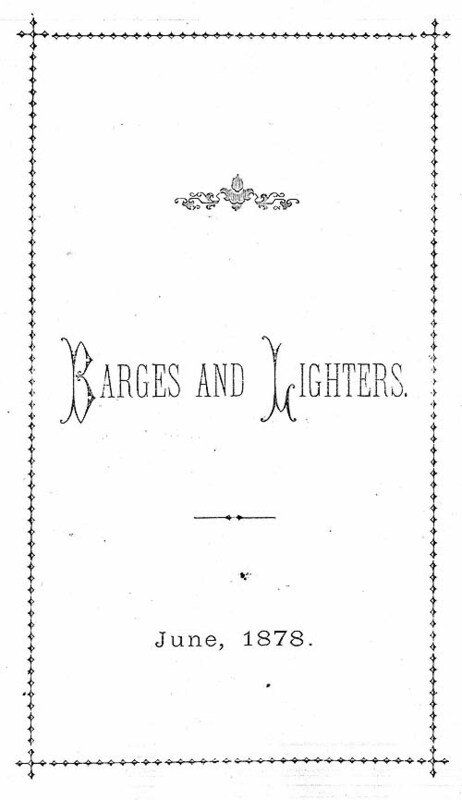 Barges and Lighters, June, 1878. 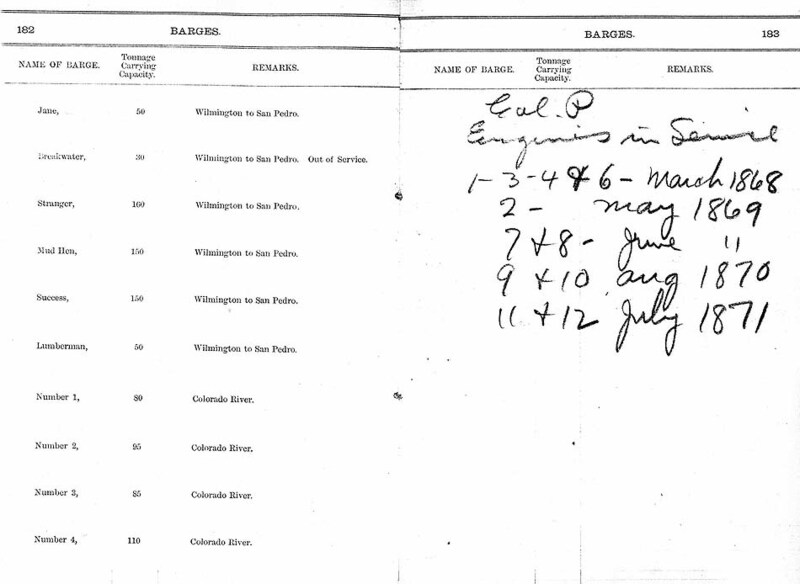 Courtesy of the John Bergman Collection, located at 5345 W. Modoc Ct., Visalia, CA 93277.